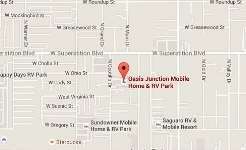 We are centrally located in the center of Apache Junction between Apache Trail and Superstition Blvd. Need help? Call (480) 310-1113 and we’ll help you find your way home!